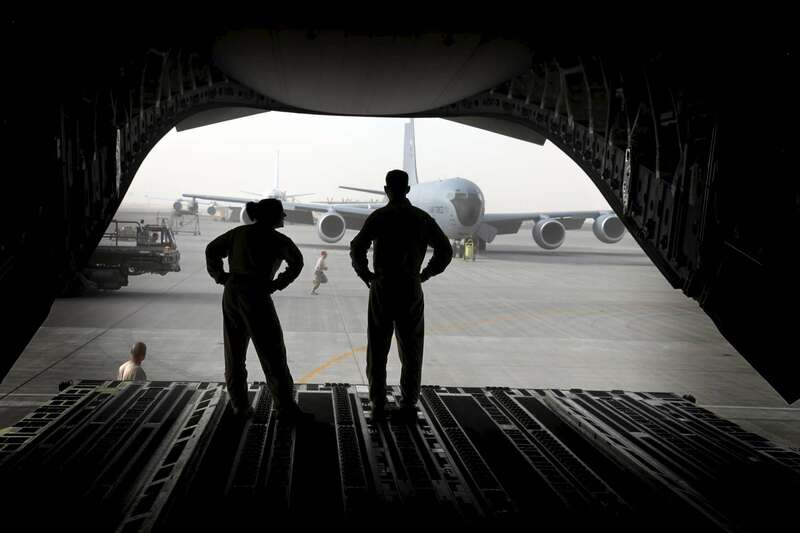 Loadmasters Senior Airman Christine Condoleon, left, and Master Sergeant Brian Cook, right, stand on the loading ramp of their C17 cargo jet as they prepare to unload at an air base at an undisclosed location in the Persian Gulfon Saturday, February 23, 2009. (Laurence Kesterson / Staff Photographer) EDITORS NOTE: JSUPPLY29, 2/21/09, McGuire AFB, New Jersey. A supply mission to Afghanistan and other points in the Persian Gulf.